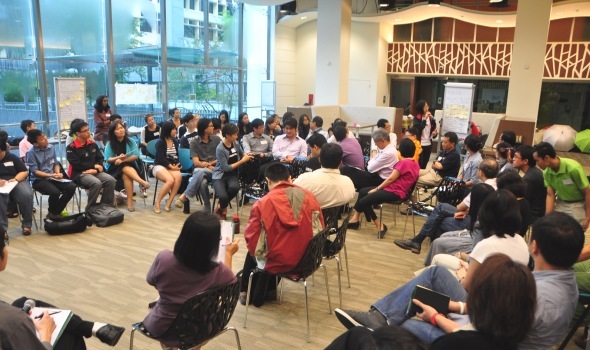 The Our SG Conversation for the Green Community (OSC) was held last Saturday 19 January at Singapore Polytechnic. 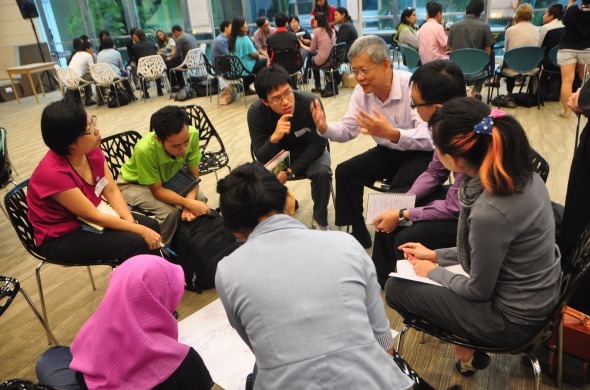 This OSC was initiated by Faizah Jamal, Nominated Member of Parliament (Environment and Heritage) People and Civic Sector, and Eugene Tay, Director, Green Future Solutions, in collaboration with the Singapore Polytechnic Environment Club and “Our Singapore” Programme Office, Public Service Division. 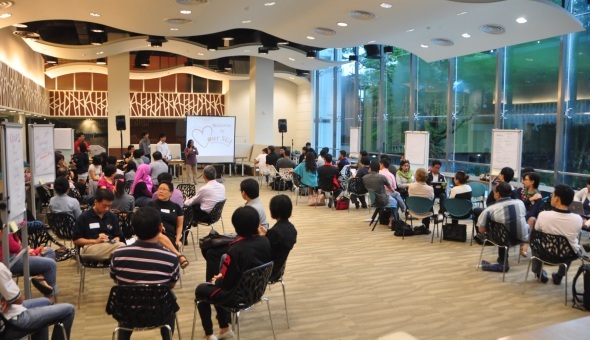 55 participants, including 45 representatives from green groups and 10 from the public, turned up on a rainy Saturday morning to voice their thoughts and vision for Singapore. The diverse views of the green community, which included environmental NGOs and groups; individual environment, animal and wildlife activists; and environmental businesses, associations and research academics, added an important voice to the overall national conversation. 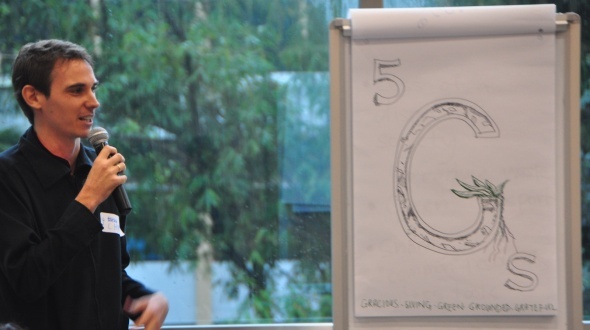 Think of a personal experience or story when you were most and least inspired for a green future in Singapore. 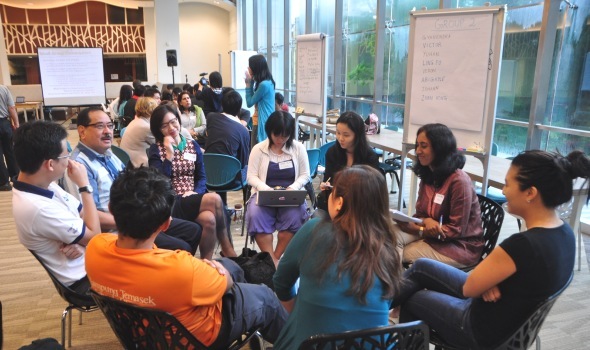 What is the biggest concern that you face in your work in the green community and with other Singaporeans? Some participants share their positive experience on volunteering as nature guides; how the appreciation of nature led to being concerned about other green issues; and the green consciousness seen in other countries. Other participants share their least inspired stories of Singaporeans having a “don’t know, don’t care” attitude which drives overconsumption and wasteful behaviour; the current generation of youth not having much interaction with the environment and nature; and the limitations in engagement among the environmental movement, government and citizens. 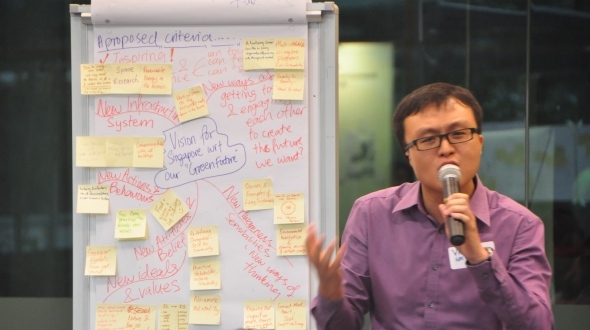 What do we envision for Singapore? What is the role of civil society, private enterprise, government, and the ordinary citizen? 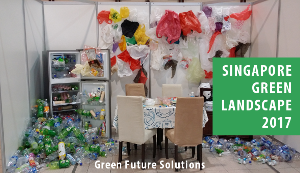 How can the green community be more creative, engaging and inspiring in the way we communicate with Singaporeans on our environmental concerns and visions? Each group presented their views and we ended with a big group discussions on what has been said and what we can do next. We will compile the notes from the OSC and send it to the Our Singapore Programme Office. In addition, the notes would be included in a report and sent to the participants, government agencies and Ministers, and be made available for public download.